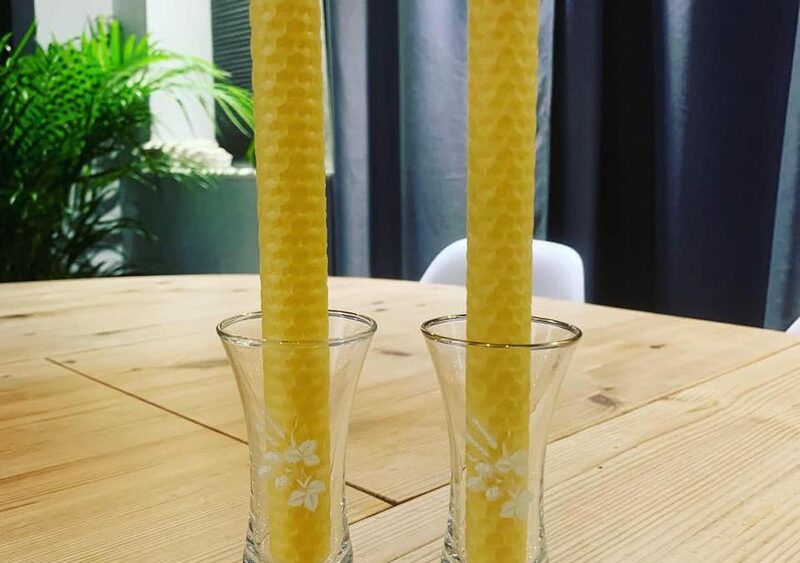 What is all the fuss about Beeswax Candles you may ask. The Honey bee will fly about 3-5 mile radius to collect enough nectar to produce approx 6lbs of honey, to produce approximately 1lb of wax! For every 100lbs of honey the bees produce, the beekeeper can get approximately 1-2 pounds of wax. Get the idea? Our beeswax candles are a 100% natural product, no chemical like dyes, fragrances etc. So this makes them environmentally friendly and safe. Which means they burn very clean with very little smoke when the wick is trimmed properly. 100% beeswax candles are the only candle that emits negative ions to clean and purify the air in your room. Have you ever had a candle that leaves streaks of black stains on your walls and ceilings? Beeswax will not do this. During a dinner party why would you add a candle that gives off a repugnant odour and nasty toxins, choose a pure beeswax candle which will help add that special touch. The Catholic church use pure beeswax candles as their Altar candles for Mass and other Liturgical functions. At the mass of the presanctified, on Good Friday, they should be of yellow unbleached wax. 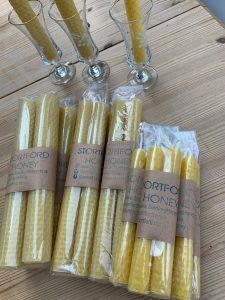 Our hand rolled candles are made from the honeycomb shape foundation sheet which as beekeepers we place into our hives for the bees to fill out and store their honey and pollen in. Have a look at our shop as we have several sizes available which will suit most budgets.